Not too long ago I bought a book with the misleading name – ‘The history of Witchcraft’. In fact, I found out after reading it, it was about the history of witch hunt, which is a very different subject altogether. Those were unthinkable times back then, especially for women of course. I have also watched the movie “The passion of Joan of arc” from 1928 not too long ago, and while the heroine of this beautiful movie was taken to a fate so similar to the burning end that waited for many men, women and those who were accused of witchery (they were also men and women, I just had to make the connection with the book I was reading), this E.P by Pleq and Hiroki Sasajima could have served the right soundtrack. For twenty three minutes, this collaboration work travels through bleak puddles of low drones and offers a thin pathway for all hope to abandon. 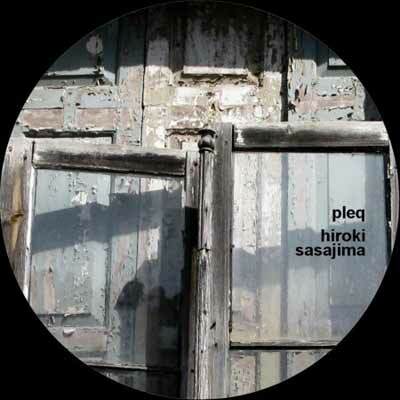 Pleq and Sasajima do not do this in some sort of a dark, grim and theatrical way, but in a melancholic, aesthetic and delicate manner. I can hear dim crackles through the thundering shakes that take charge halfway through the track. It’s all mystical. It’s all gloomy. It shares the fading thoughts of another victim of that fearful atrocity.